Andersonville is reinforcing your affinity for waiting until the last minute with Late-Er Night Andersonville. Businesses in Chicago's most charming Swedish neighborhood offer discounts, extended hours, refreshments, and entertainment, much like they did at regular old Late Night Andersonville on December 6—way before you had holiday shopping on the brain. To jump-start all the holiday boozing, LivingSocial hosts Beerfest, a craft-brew celebration at Union Station's Great Hall. The price of admission gets you tastes of more than 80 beers, wines, and ciders, including offerings from Evil Twin Brewing, Emmett's Brewing Company, and Speakeasy Ales & Lagers. 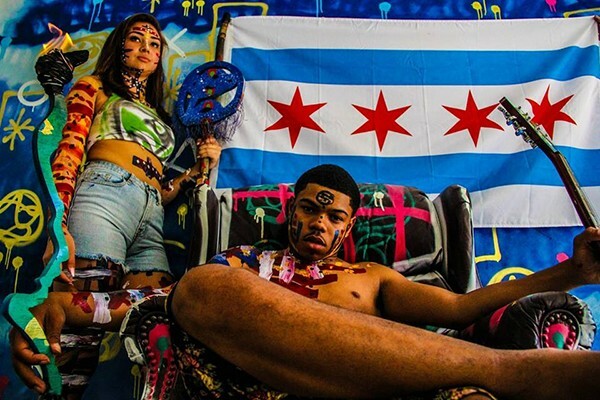 As Leor Galil writes in Soundboard, Chance the Rapper's younger brother, Taylor Bennett, "raps with a mischievous charm and a little growl in his throat, and he can breeze through his verses with an easy speed that makes him seem untethered to the weight of his lyrics, which are often thoughtful or even melancholy." Check him out tonight at Reggie's Rock Club.